Astilbe is a flower native to Korea, China, and Japan and is mostly recognized by their feathery plumes of airy, dense blooms. Somewhat reminiscent of a fern and feather celosia, it has seen modest growth in popularity among DIY brides and floral designers. Featuring a whimsical and feminine presence, many use this flower for centerpieces, boutonnieres, and filler for wedding bouquets. They can also be used alone for petite, hand tied bridal bouquets, adding that delicate touch to your floral. Astilbe is generally available from February until November, though available sporadically throughout the year. They are freshly harvested, coming in red, white, pink, and assorted colors. Astilbe is a perennial flower which comes as a beautiful showy and glossy flower with fern-like foliage. They are known as the bright components of the garden during midsummer. The plume-like flowers stand tall and attractive with deep green foliage. It comes with a bright range of colors from white, pink, and even deep reds, violets, and more. 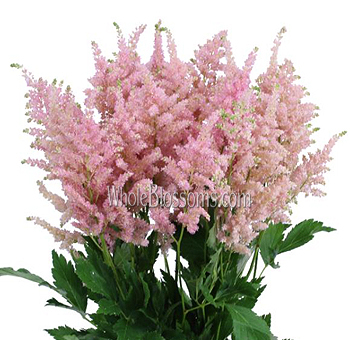 The Astilbe peach blossom is known for its soft-peach pink color which gives it an elegant look. The intensifying colors can be a great addition to floral arrangements. The attractive flower manages to sway everyone with its alluring natural beauty. Astilbe flowers are basically recognized by their tall and fluffy appearance. The light and airy flowers can grow up to few inches to feet in height. The flowers are native to the Far East and different locations in North America. They can add a tinge of vibrancy to any environment, and that's why they are adored. They are called as the stars within a shady garden. These flowers have different names like False Goatsbeard, False Spirea, and the names imply to its feathery appearance. Different varieties of the flower bloom at different periods of time in varying height. The brightly flowered colors add a great deal of drama and texture to arrangements they are added to. The long and sturdy stems make it easier to set up and arrange. These elegant flowers can last up to a week in vase arrangements. Even the fern-like foliage can be used as an excellent filler for bouquets. 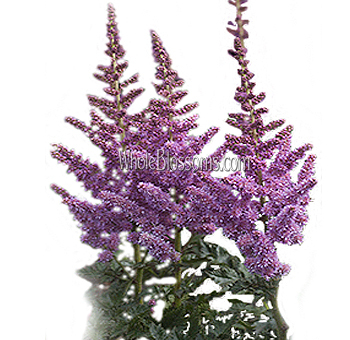 You can easily get your hands on feathery Astilbe for sale through trusted online florists. Astilbe looks terrific in bunches, adding to the overall texture of the feathery look. Combine it with your favorite flower arrangements and witness the magic happen. What are the different Astilbe flower colors? The shape and color of white Astilbe resemble that of a beard, so it goes with the name of False Goat’s Beard. The flowers come with a great range of shades which look perfect in any kind of floral arrangement. 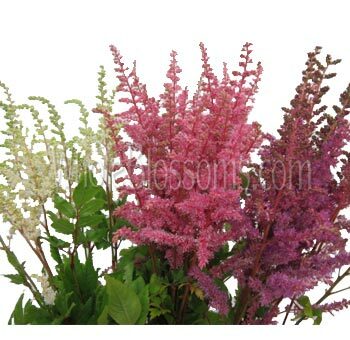 There are many shades of pink/peach blossom/white/purple/lavender/red astilbe flowers. Each of the colors come with different hues. They can range from whites to dark purples, most of the flowers are pastel. The shades can even merge with one another to form a great palette of colors. The size of the bloom can also stand to be a significant addition to the arrangements. The vibrant shades make an alluring compilation with other flowers. Astilbe’s wonderful texture and color often emerge to be very bright. In the winter season, they are the best companion to floral arrangements. It makes an exquisite addition to bridal bouquets with its defining colors of pinks. If you want to get an Astilbe bouquet, just surf through any trusted online florist to get it delivered right to your doorstep. The graceful blooms can be the ultimate romantic element to wedding bouquets and centerpieces. The dramatic texture and shades of the flower can incorporate special emotions within. It makes a charming ad to the wedding environment with the shades of pink and reds. When the deep red is paired with a dark colored ribbon, it gives it an elegant appearance. The flower can also be used in flower crowns. Wreaths for brides can go perfectly with cream-colored Astilbe. The delicate look of the Astilbe gives it an emotional hook with its long-lasting power. The admirable look goes in sync with modern and rustic themes of arrangements. Add a new twist to your floral creation with these feathery flowers. It can go beautifully with a wildflower themed bouquet with additions of other flowers. Experiment with the rustic and vibrant appearance of the flower. Where to buy wholesale Astilbe online at the best price and quality? 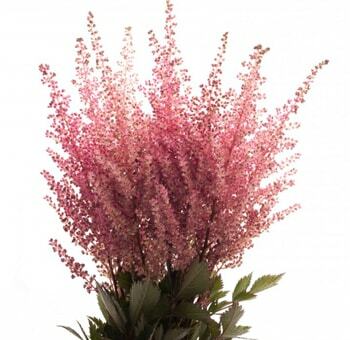 Get your hands on fully bloomed Astilbe peach blossom to have an enchanting effect on floral decorations. Reliable florists ensure that you get the best flowers delivered to your doorstep at a single click. If you want fresh cut flower arrangements in bulk, head over to Whole Blossoms. 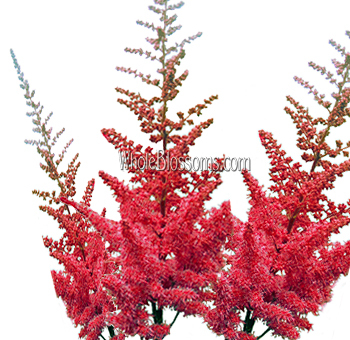 Get your assembled Astilbe right now with fresh and fast delivery of online florists. Many believe that the flower signifies love, patience, and dedication towards loved ones. Choose the colors of the flower and share the love with these charming flowers. With different creative ideas to fulfill, Astilbe makes the perfect addition with their vibrant and graceful presence. The sparkling flowers can be a blessing to floral arrangements at weddings. 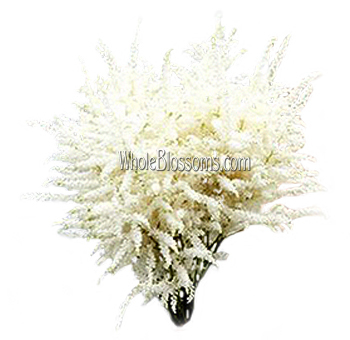 Get the best quality of feathery astilbe for sale from Whole Blossoms. The raw nature of beauty is never-ending. Astilbe can go perfectly with any bouquet or even as dried-up arrangements. 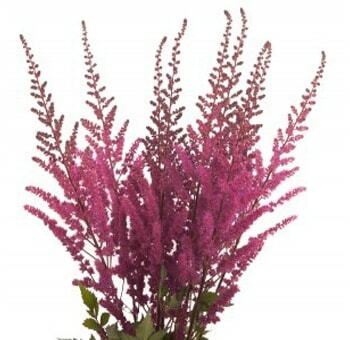 Surf through the online floral outlet to make a bulk purchase of Astilbe.